Product prices and availability are accurate as of 2019-04-19 08:19:42 GMT and are subject to change. Any price and availability information displayed on http://www.amazon.com/ at the time of purchase will apply to the purchase of this product. It is convenient for travel, picnic or office to take your makeup tool or other little things in. 2 pieces of zippers in two bags, which can contain important things. 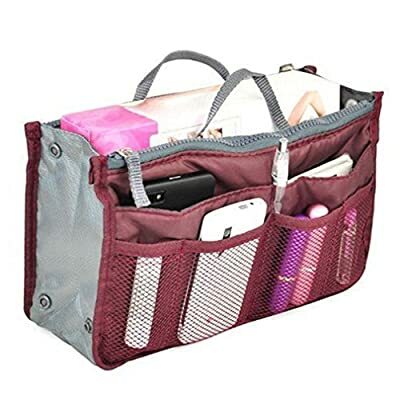 13 different size bags, you can put your little things all into the bags while traveling. Sometimes there may have a color difference.